Found amidst 7 acres of lush, unspoilt and pleasantly relaxing surrounding, we are continuously striving to carry that edge of business away from you, while still supplying all the necessities a corporate traveler rightfully expects during any stay. Poppys vista in Tirupur has been blessed to serve you for ten years now. Whatever your needs may be, rest assured that our staff and management will do all they can to ensure they are surpassed. Health Club, Breakfast Services, Banquet Facilities, Spa/Massage/Wellness, Bar, Conference Hall, Complimentary Newspapers in Lobby, Computer on Request, Laundry Facilities, Family/Child Friendly. Wakeup Calls, House Keeping, Voicemail, Bathrobes, Direct-Dial STD, Air Conditioning Room, Bottled Water in Room, Complimentary Toiletries, Hair Dryer, Attached Bathroom. ATM/Banking, Banquet Facilities, Beauty Services, Breakfast Services, Business Facilities, Conference Hall, Doctor on Call, Laundry Facilities, Parking, Restaurant, Room Service, Bar. 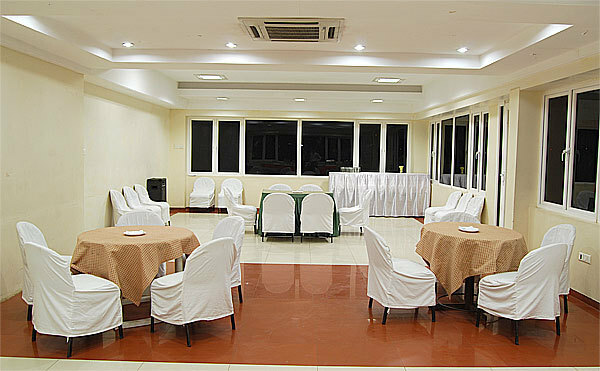 User reviews for "Poppys Vista Hotel Coimbatore"